7 posts categorized "Digital Design"
Just in time for Valentine's Day, get inspired and pucker up as you explore the art of the kiss in the new interactive art site, NY Kisses created by Studio Lekker. Lekker means "delicious" and "being in the moment" in Dutch so what can be more delicious than capturing kisses in NY? Visit the site and just start from the beginning or choose a kiss from the slider menu. You can rate the kisses by leaving a comment. All the comments on the site become a part of the experience as they float subtly behind the couple amidst the backdrop of the NY skyline. My favorite kiss is by this couple above. Ah, l'amour! What's behind a fashion logo? 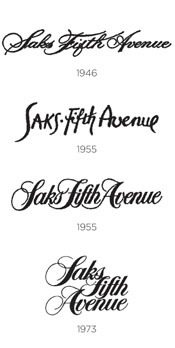 Saks Fifth Ave's classic logo got a recent facelift and some rebranding done thanks to Pentagram's Michael Bierut. Bierut took the logo and chopped it up into 64 squares so that he could rearrange them into different combinations from bags to ads. The typographic look is decidedly modern and fresh for a logo that's thankfully bringing back it's classic script style that hasn't been used for over 10 years. The close up type boxes and the classic, yet modern black and white color give Saks a much needed brand refresh. You can also read more about the brand refresh at the NY Times. It's fun to see how the logo's changed since 1946. But that's not where our fashion logo trip ends. Even Kate Moss gets a logo of her own for her new Topshop collection. This one from the ground up. Veer pointed to an article by CR Blog about Kate Moss' new TopShop line brand created by English Graphic Designer, Peter Saville, in collaboration with typograher Paul Barnes. 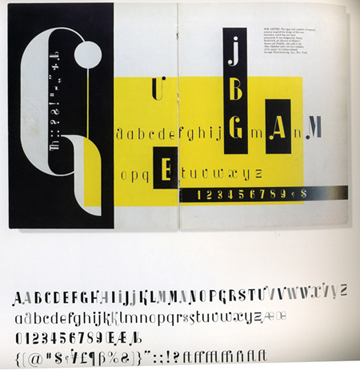 To follow with Kate's Boho style, the end result is a font based on the font Albro by Alexey Brodovitch who was the Art Director for Harper's Bazaar (well known for their typographic layouts) from 1934-1958.